My favorite Smithsonian museum is the Natural History Museum. Not only is natural history my favorite subject to learn, but the museum itself is just magnificent. With a grand atrium extending over three stories, and visually stunning exhibits. I was excited to see one of my favorite animals:The Pika!!! It's a relative to the rabbit and the cutest thing I've ever seen. I recommend watching a video, to see the Pika's full cuteness. Another favorite of mine is the Coelacanth! It was thought to have been extinct for millions of years, but then they were found living off the coast of South Africa, virtually unchanged from their fossil ancestors. (See video!) I love this fish and even have a Coelacanth necklace! Why didn't I bring my necklace with me! 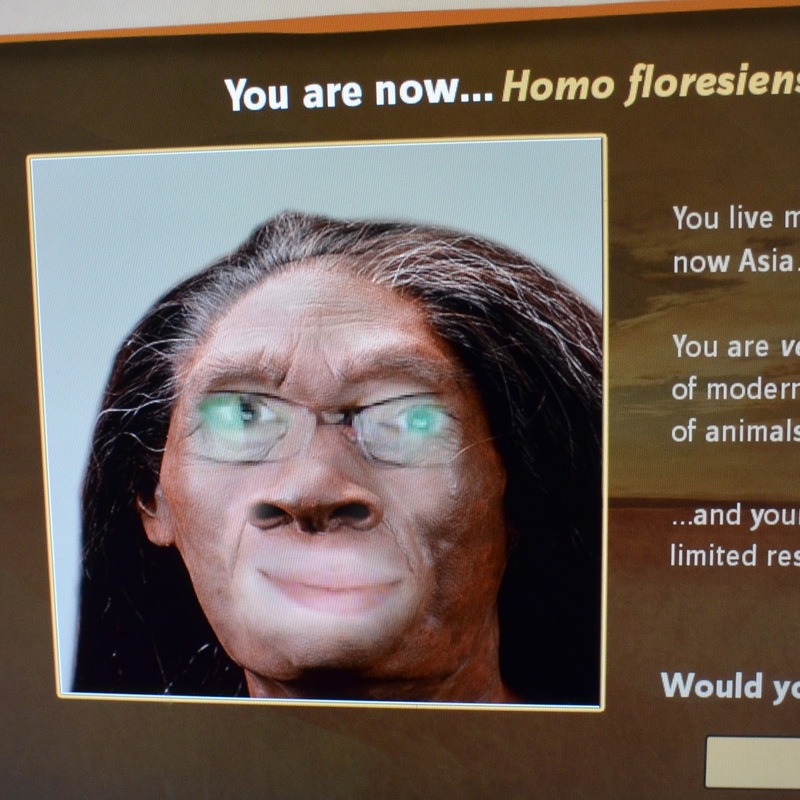 There was a feature that let you see what you would have looked like as an early Human relative. I think my glasses are a nice touch! 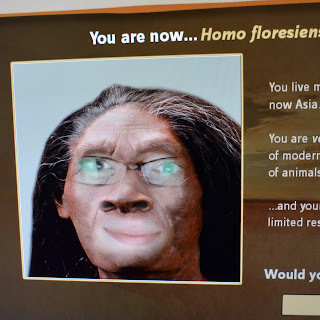 The best part was that they streamed everyone's ape-like photos on a large screen for all to see, so it was amusing to see people's reactions to our funny transformations. 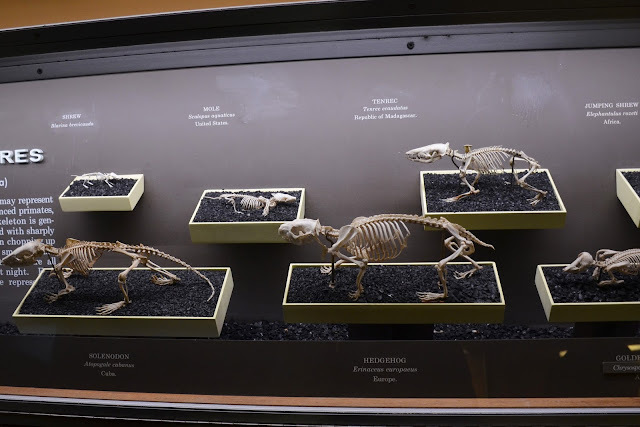 The Natural History museum is an incredible place and I could have easily spent plenty more hours there.